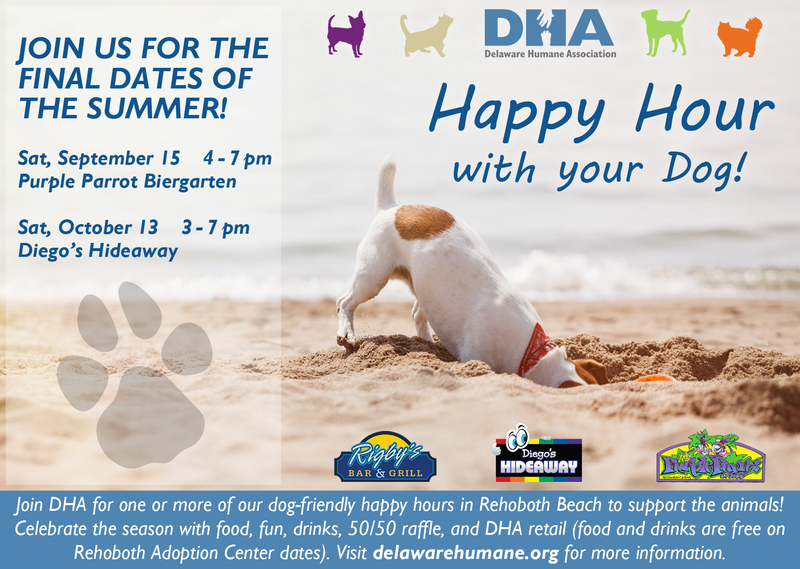 Join DHA for the FINAL of our dog-friendly happy hours in Rehoboth Beach to support the animals! Celebrate the season with food, fun, drinks, 50/50 raffle, and DHA retail at Diego’s Hideaway. Meet and mingle with other animal lovers while enjoying great food and drink at “DHA Happy Hour”, a series of dog friendly happy hours hosted by local restaurants and bars in Rehoboth Beach from May to September. Dogs are welcome at each venue but must be on a leash. A portions of the proceeds from each happy hour will be donated to DHA!